Hyundai H-1/Grand Starex/Starex PDF Workshop, Service and Repair manuals, Wiring Diagrams, Parts Catalogue, Fault codes free download!! 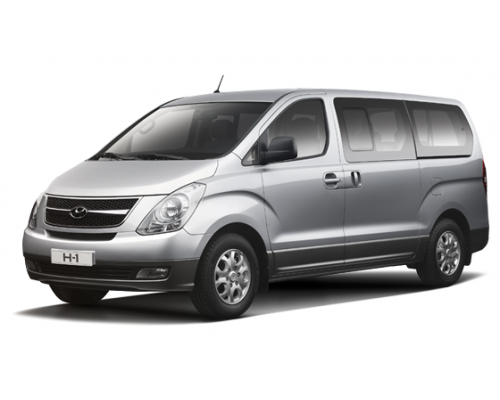 Hyundai H-1 GRAND STAREX – LCV / minivan of a wide range of applications (due to the variety of modifications offered by the manufacturer) from the Korean concern Hyundai Motor Company. The first generation of the car, also known as Hyundai Starex, began to be manufactured in 1996, currently the second generation H-1, introduced in 2007, is being manufactured. Vans and minibuses in the Hyundai range appeared in 1987, when the production of the H-100 family started (in the domestic market the cars are known as Hyundai Grace), a license for which was purchased from Mitsubishi (the Mitsubishi Delica family). In 1996, the production of the first properly designed car of this class – Hyundai H-1 of the first generation was started. In parallel with this car until 2004 due to high demand, Hyundai H-100 was produced. H-1 in the domestic Korean market is known as Hyundai Starex (Grand Starex – since 2007). The world debut of the second generation Hyundai H-1 took place in 2007 at the international Seoul Motor Show. The original exterior Hyundai H-1 is made according to the classical scheme – the load-bearing element of the structure is the body, the engine is located longitudinally, the torque is transmitted to the rear axle of the car. In the Russian market, the family of minibuses and vans is represented with a 2.5-liter diesel engine, existing in atmospheric and turbine versions (116 and 170 hp respectively), as well as a 2.4-liter gasoline atmospheric engine with a capacity of 170 liters. from. Available gearboxes are 4-speed automatic and 5-speed manual. The front suspension is independent – McPherson. Rear suspension – Rigid Axle 5-link ABS, EBD, driver’s and front passenger airbags, disc brakes of all wheels are present in the basic configuration of the Hyundai H-1 delivered to Russia, as well as a dynamic stabilization system ESP. For the Korean market, the car comes in an expanded range of accessories and is called the Grand Starex. Engine power increased to 174 liters. from. Transmission – 5-speed automatic or manual.